In Weehawken and West New York, New Jersey, in the United States of America. 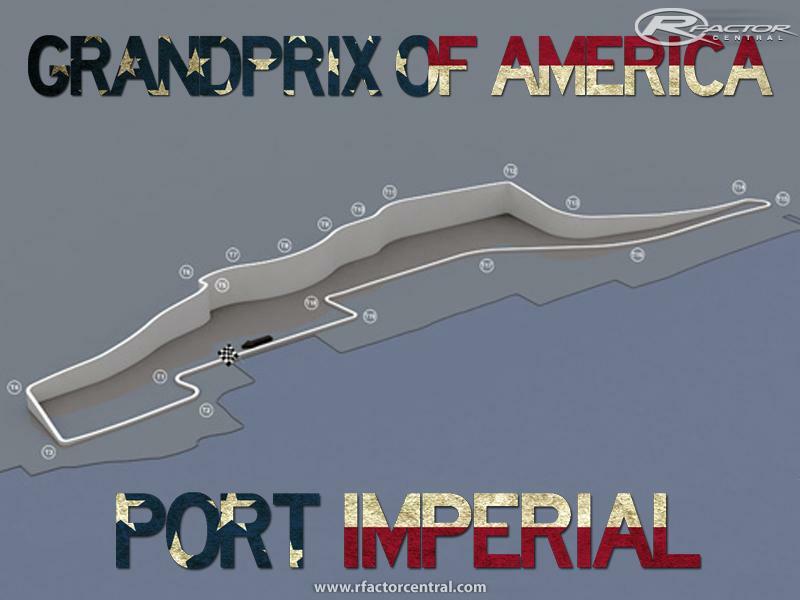 It was officially announced in October 2011, and is planned to host the Grand Prix of America, a race of the FIA Formula One World Championship. It was originally intended to debut on the calendar in 2013, but was later postponed until 2014. 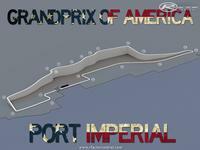 The circuit will be constructed on the Hudson Waterfront around Weehawken Port Imperial. First two corners are still a mystery, because there's seems to be various lengths of main straight and pit out style. Right now I'm working with the asphalt textures and trying to make them look real as possible. I will release first downloadable version, when main things (track surface, walls, pit) and basically everything what's most important on the circuit, etc. Adding buildings are the least problems right now, but later on they will be. Will be released later as 1.0 with different name and project (Port Imperial F1), so this WIP is useless. This WIP section is ridiculous, cannot update videos or track map.